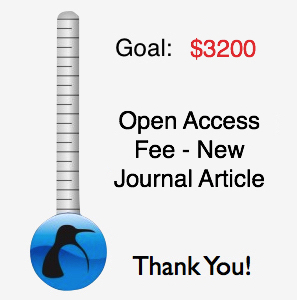 I can assure you that your donation will be spent on coffee while I READ papers or journal articles themselves. It’s been an amazing adventure and I know there is a lot more to learn. Please let me know how I can help and also take the time to fill out the data sheets. Between this data AND your support through comments, questions, or just a cup of coffee, we can build a community that will make a significant scientific contribution in time. I appreciate the time and effort you put into the site and hooking us all up with the free guide! Wish I could contribute more meaningfully, but hope the $10 helps the cause. Ray, a little token of appreciation sent your way. As a photographer always on the road it’s hard to exercise, eat well and be fit. With the 4HB and your ideas and insights of body thermodynamics I think I’m off to a new me, a fresh (and cold) start! Do keep me on the loop, if you need a guinea-pig I could also be game. I’ve traveled a lot as well. You are right that extra calories are everywhere – especially on the road. I’ve developed the habit of cranking the room temperature down. 1) cost me nothing 2) nobody to annoy. As well, I’ve tried to do a little more cold exposure on trips. It’s amazing how frequently I come back weighing less than when I left. The bay-area has GREAT weather for thermal loading. Hope that $15 can still buy a couple of cups of coffee. I really appreciate reading your thoughts and ideas on how to speed up the AGGRAVATING process of losing weight. I am now 10 pounds down since Jan 1. Wish it was more but I will take it. When you are 5’0 tall woman it seems like it takes twice as long and twice as much effort as it does the average man trying to lose weight. Anyway, thanks again for all the ideas and keep them coming!! Delann, it’s a long walk to ideal weight but well worth it. Better to walk and enjoy the view than to run and miss all the fun. Keep it up! I know I will and I’m very happy and energized! May you and the coffee gods use my $10 token of appreciation well. Thanks for all your research and hard work. OK, this is my commitment to my first 40 lbs. and opening the door to my office all day tomorrow for cooling…going to the mountains next week where my favorite grocery store and health food store are and cooler environment without this humidity. Maybe I’ll pick up a battery for my scales as well….I’ll check back in a week or so. Wonderfully put together PDF. I may never eat another oreo cookie as I sure don’t want to walk up 27 stories …at this time. Keep up the great work. I hope to contribute a success story sometime soon! Please do. Failures welcome too! We only learn when we’re wrong. I’ve learned a lot from the folks here challenging me on things. Should I forget about cold showers and instead do cold walks? Happy to contribute towards your work! Will continue to support! Incredible work, thank you very much for all your research and personal testing.